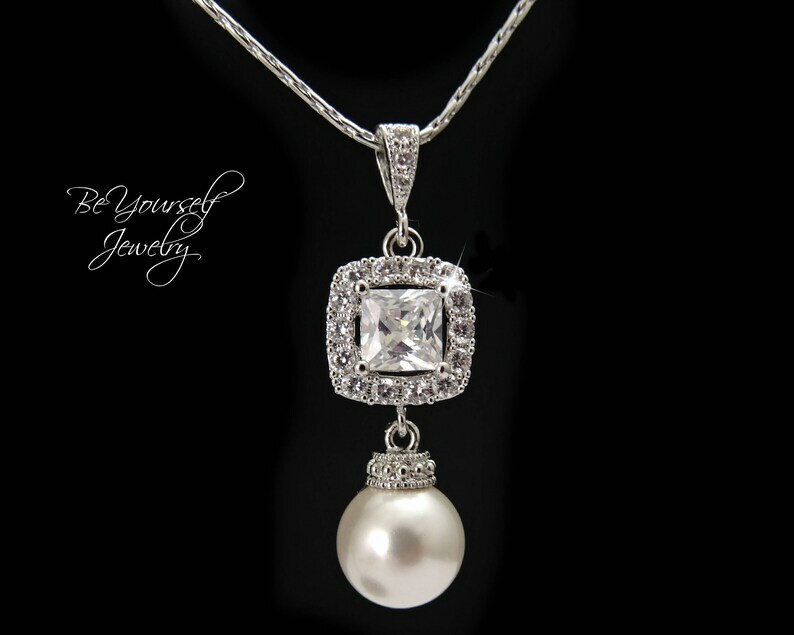 This timeless and very elegant Swarovski pearl necklace was made with cushion cut Cubic Zirconia accents. Perfect for weddings and special occasions this design is super sparkly and very feminine. Please contact me if you would like to order multiple items for your bridesmaids. I'm very easy to be reached and usually reply to my messages right away. Special discounts are available for multiple orders. This necklace will arrive in a beautiful gift wrap at no extra cost! * I only buy from official suppliers of Swarovski components for my work.